I’ve come acros with a great new simple but useful and fantastic invention these days. 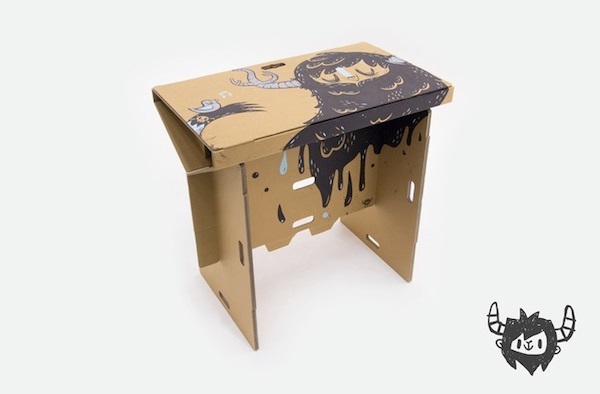 It’s the portable cardboard table from Refold. It’s flexible, foldable and 100% recyclable. I first found this project on Kickstarter and at first glance I became sure that this was an idea probably many people were looking forward to be realized, especially if you’re a travel-addict freelancer. Think that you’re traveling the beach coast. You’ve seen a great view that you want to get inspired by and you want to park your car, get creative and do some work while gazing at the amazing view. Now it’s all possible. Only thing you have to make yourself a workspae anywhere anytime is to take 2 minutes to assembly your working desk and get going. It’s quite surprising what you can achieve just with a bunch of cardboard, right?? 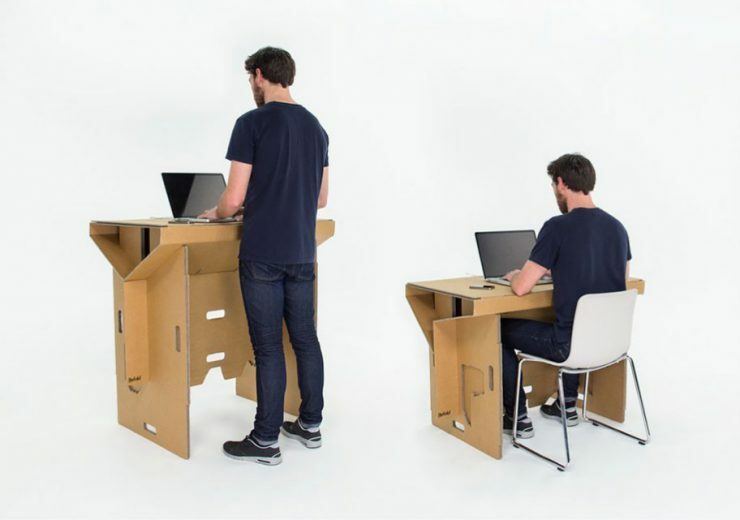 Refold Standing Cardboard is actually designed to aid the health of people who usually work sitting around all day. And if you’re a little bit into health you should know that working on a standing position is the healthiest way to work. The whole world should actually adopt this way of working for the sake of their health! 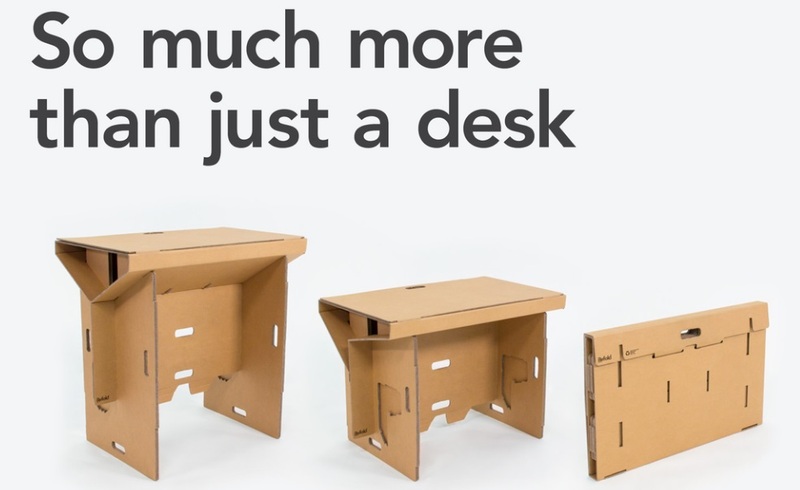 That’s why Refold Cardboard Standing Desk comes with assembly kit of standing model. But you can also purchase separate legs for sitting position. 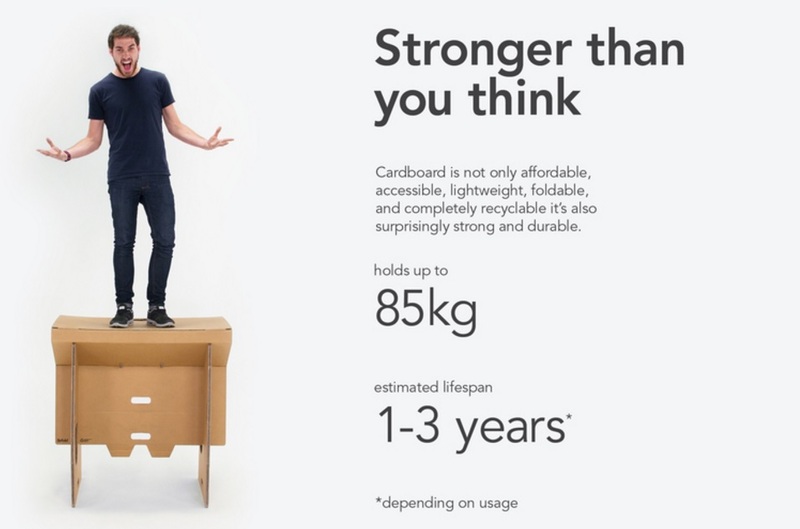 It holds up to 85 kilograms, which means that it can support an average man and it has an estimatd life span from 1 to 3 years depending on the frequency that you use your cardboard table. It weights just 6.5 kilograms. Also it gives you a great oppurtunity to you and collegues to collaborate quickly and form a working place just in a matter of minutes. So, if you want to check out this brilliant thingy, feel free to check it out at Refold’s website by clicking here. See you soon, keep in touch and don’t forget to comment, share and check out our other content just like other cool pople do!